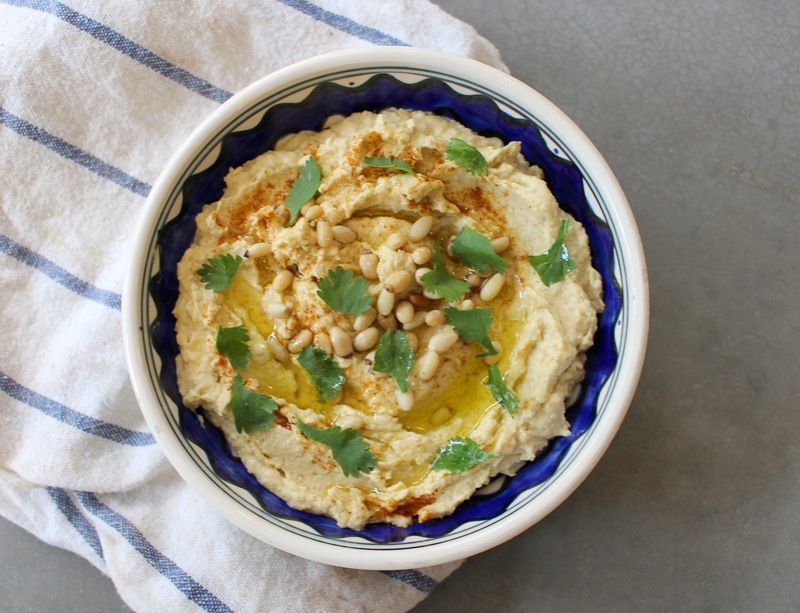 Now hummus is often seen as complicated or scary – there’s about five different spellings (houmous? hummous? hummus?…) and about five million different recipes, but I promise you it needn’t be. All you need is a food processor, a couple of ingredients and a spare five minutes and you’re good to go. Not much to say here – simply plonk all the ingredients except the water in your food processor and whizz until smooth and creamy. Add in the water a tablespoon at a time and continue mixing, adding water until your desired consistency is reached. How’s that for fast food! Enjoy it with carrot sticks, salad, falafel…pretty much everything! Store in an airtight container in the fridge.